Here I am again, unashamedly ranting on about wines that have tickled my fancy. I’m on the NZ theme since I just got back from there, and between work commitments visited some iconic wineries including Matua Valley in West Auckland. Matua Valley is the winery credited with launching NZ sauvignon blanc in the 1970s – so it had a lot to live up to when I visited with my friend. 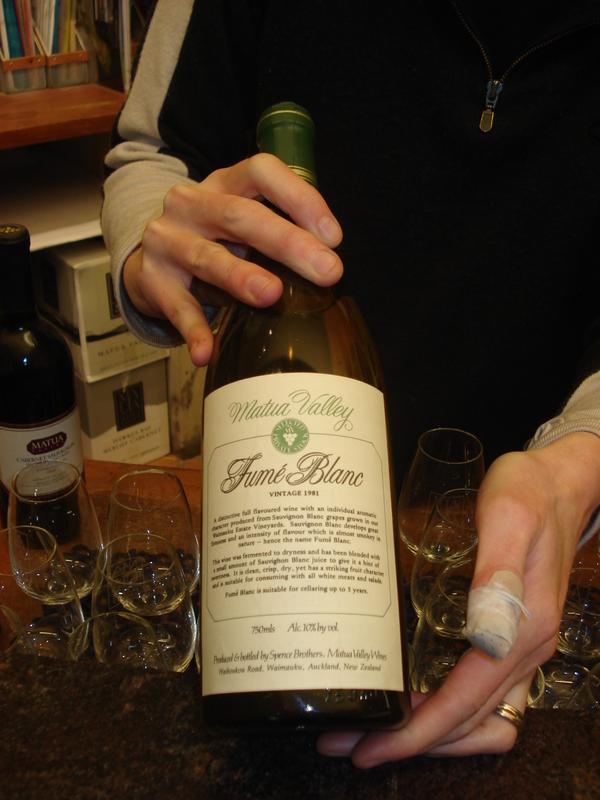 The host – Steve – spotted our enthusiasm for knowledge and tasting and produced a bottle of fumé blanc from 1981 (pictured). As a little background, my friend Glenda and I were intent on buying a red wine to have with our dinner. I wanted to try the iconic SB from Matua Valley but the dinner decision was red. 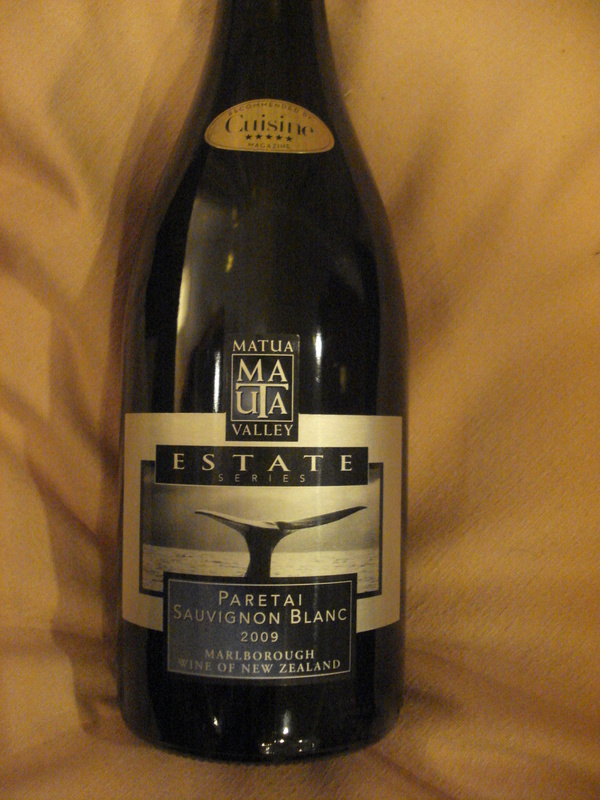 Until we tasted the Paretai Marlborough Sauvignon Blanc 2009. It really did knock us for six. As a wine lover it’s moments like this I live for – when a wine really does surprise you and for all the right reasons – and is still a bargain price (just over $20 NZ a bottle). This trailblazing winery still has the edge when it comes to Marlborough sauvignon blanc – a wine many are expressing fatigue over, as more and more producers enter the market. I would never have believed that one of the highlights of my trip would be a Marlborough SB. Really – that good? Oh yes and then some. And to top it off it has a cool label! This entry was posted in New World wine, NZ wine, Sauvignon blanc, Wine varietals and blends and tagged Marlborough, Matua valley, NZ wine, Paretai, Sauvignon blanc, Wine. Bookmark the permalink. Congratulations on the blog Nicki. Sounds like you had a wonderful time in NZ.